Previously in this series, we found out who Saul hated so much that he woke up every morning breathing threats and murder. Saul hated Christians. To answer why anyone could hate a Christian so much I thought we should look at the Christian who set Saul off in the first place. The threats and murderous intentions Saul was intending to unleash on the Christians of Damascus was nothing new. He had taken part in the murder of Christians before; there was of course the martyr Stephen. Stephen was a faithful man of God and one of the original seven chosen to serve as a deacon to the fledgling church in Jerusalem. During the course of his ministry, there were some Jews who accused him of blaspheming God and Moses (Acts 6:11,12) as well as speaking against the temple and the Law (Acts 6:13). When given the opportunity to answer the accusation of blasphemy, Stephen gave a defense which recounted the history of the Hebrew people beginning with Abraham (Acts 7:1-8). 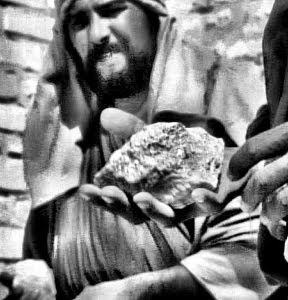 When Stephen unmasked their self righteousness they responded by stoning him to death (Acts 7:54-60) and Saul, after consenting to the murder, watched over the coats and robes of those who would take up the stones so they would not be bloodied. This ferocious and vicious murder is the result of self righteousness being revealed. That is why Saul and others hated Christians so. The disciples of the Lord represent the One who exposed the dark and futile hope of a form of righteousness apart from God’s own righteousness. Saul would later write a letter to the Christians in Rome explaining the plight of these Jews. A true disciple of the Lord Jesus is one who exposes the false hope of self righteousness by correctly and lovingly using the Word of God to reveal the total inability of man to do anything to earn, or warrant salvation. Are we as faithful to the Great Commission as Stephen was? Are we willing to risk even our lives to share the Gospel? The next installment we will see how the fragile and damning facade of self righteousness must be propped up with religious legitimacy.